If you need to practice sewing ruffles like I do, this this ruffled bookmark from Craft Snob is a perfect way to keep all that ruffled fabric from going to waste. 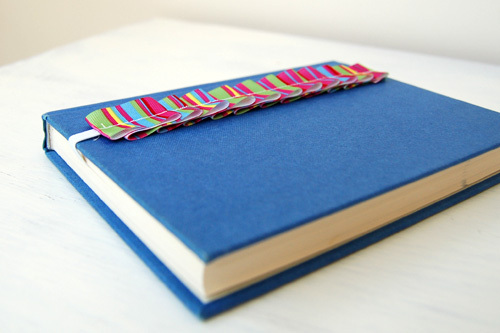 And if you are an expert at sewing ruffles, this cute bookmark will be a cinch for you to whip up. It is also a cute way to gift wrap a book you are giving as a gift. Learn how to sew a ruffled bookmark over at Skip To My Lou. I love this- I have tons of cute ribbon from Michael's dollar section that's too short to do anything major with, I'll bet it would make a swell bookmark!